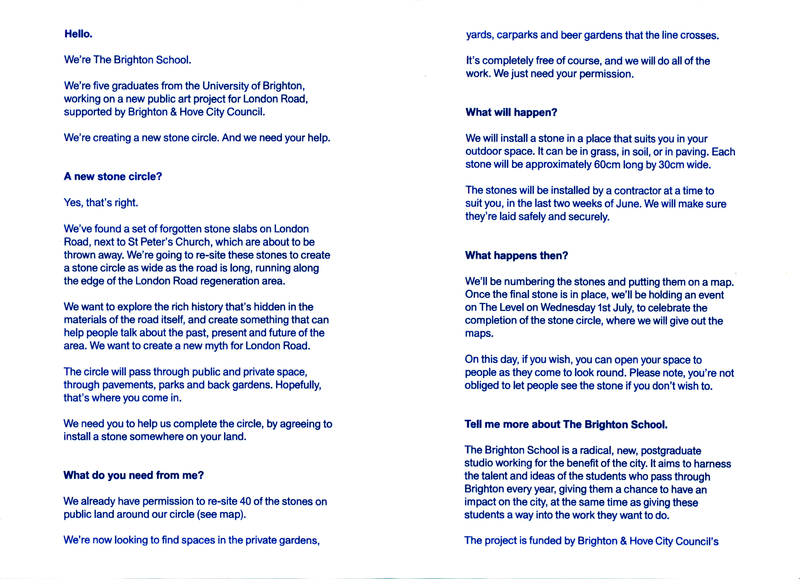 Five student members of “The Brighton School” have created a new “myth” for London Road in the form of a mysterious stone circle. 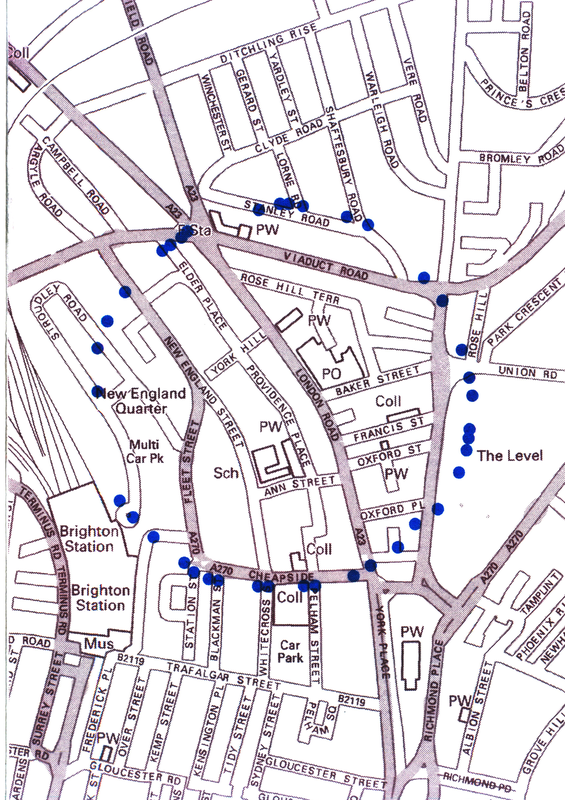 The 40 stones have been implanted in the London Road area in various places many of which are visible to curious passers-by. The stones were orginally unused stone slabs adjacent to St Peter’s church, near the taxi rank. They were about to be thrown away – but have now been reused for this new idea. 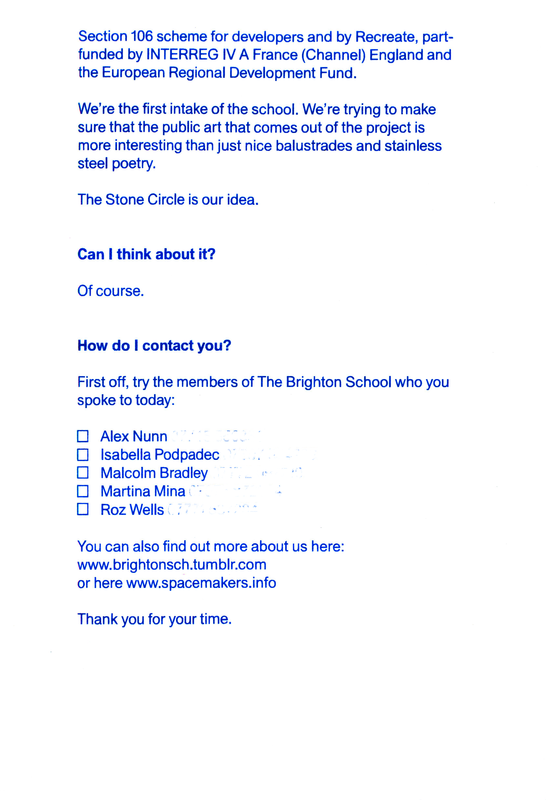 Where stones have been re-sited on private land the landowner is under no obligation to display the stones, or to keep them permanently – but we hope that many of the them will endure to form a long-term and intriguing monument. Perhaps not as long-lasting as stone henge though. It’s a bit different to the usual public art! The project was Funded partly by European money – via Recreate by INTERREG, the European Regional Development Fund plus Section 106 money from local development.